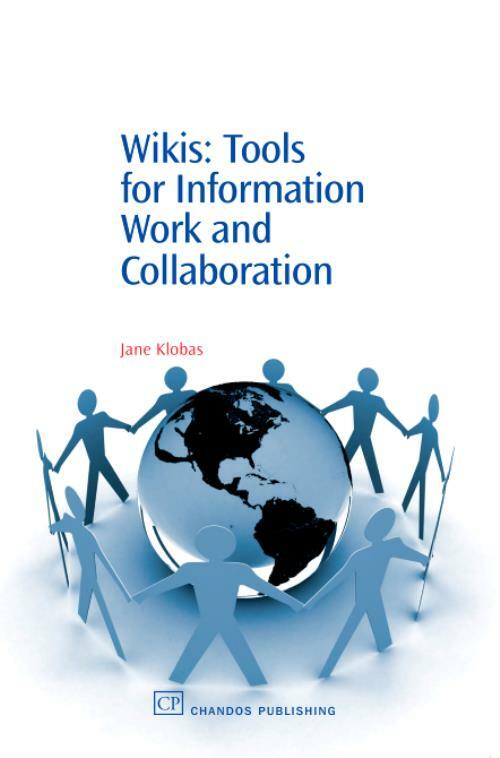 Wikis as information sources, as a form of publishing, and as tools for collaboration, are discussed in this book. The applications of wikis in library and information services, education and business are explored, with examples. Provides an overview of wikis, in the context of the increasing use of 'social software' and the trend towards a more interactive World Wide Web. The different kinds of wikis are identified and described. The advantages and problems associated with using wikis in information work and collaboration are discussed. One of the problems is simply that of finding wikis that deal with a particular topic or activity, and this is addressed through a discussion of directories, search engines and other finding tools. Later chapters cover the options for creating wikis and the management of a wiki. The book concludes with lists of resources related to wikis. the technology options; Managing a wiki; Managing a wiki. Klobas, JaneDr Jane E. Klobas is Professorial Fellow at the University of Western Australia and Researcher at Bocconi University, Milan, Italy. She has a long involvement with electronic information resources, as a practitioner, educator and researcher, and was a pioneer in research on the Internet as an information resource. She has published numerous works about the Internet and other technologies in education and business. She was a close collaborator in research on the Internet with Dr L Anne Clyde, who conceived of this book and to whom the book is dedicated.